Should it be every nation for itself, come what may? We may think we don’t need any allies (an astrologically absurd thought), but what happens when we do? "I will not allow Afghanistan to be used as a safe haven for terrorists to attack our nation again," Obama said, adding that over the years he has made several "adjustments" in their strategy. 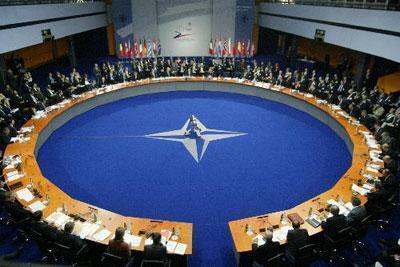 ""The security situation in Afghanistan remains precarious. I strongly believe...that it is in our national security interest that we give our Afghan partners the best opportunities to succeed." Obama also characterized “assessing Afghan and Middle East strategies” as a major goal of the Summit, and when NATO meets about a specific threat, it’s probably good to pay attention. This is doubly intriguing during a political year when NATO’s relevance has actually been questioned by Republican candidate Donald Trump. As with most issues, Trump’s gripe with NATO is financial: he complains that other nation members take advantage of the U.S. and don’t pay their fair share. As with so many issues Trump has raised, he grossly oversimplifies the situation, but he does somehow raise points that resonate astrologically. After all, in this Capricorn Uranus-Neptune cycle (a major factor in today’s global economy and security issues), it’s a safe bet that any issue will resonate with the collective if it’s grounded in perceived financial injustices and laced with fear. When NATO was first founded in 1949—with WWII a very fresh memory—few would have questioned the need for such a defense alliance, whatever the cost. In fact, the U.S. built its superpower status in the wake of WWII by taking on great responsibilities for defending its allies from 1) a resurgent Germany (West Germany wasn’t invited to join NATO until May 1955; and 2) the other emerging, but suddenly not-so-friendly superpower, the Soviet Union. 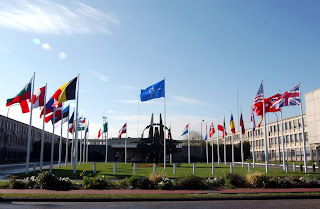 In all fairness, Trump’s claim that NATO “was really designed for the Soviet Union, which doesn’t exist anymore” is true, but what he’s not acknowledging is that as the perceived threats have morphed with the times, so has the organization. Since a number of Eastern European countries were invited to join NATO after the 1989 breakup of the U.S.S.R. and its Eastern Bloc, Russia, under strongman Vladimir Putin, has become more belligerent and eager to recreate its lost empire. Ukraine’s recent experiences with Russian aggression in Crimea have raised a red flag for several former Eastern Bloc NATO members now within the Alliance. It wouldn’t be surprising if an organization founded 67 years ago, after WWII, was overdue for a makeover, or for some crisis of evolution. The European Union is going through a crisis, dealing with the massive outpouring of refugees from Middle Eastern and African countries, Brexit, and other possible renegade members; it’s only logical that NATO—charged with defending the U.S. and most of Europe—might be feeling that stress. Besides, organizations go through stressful passages just like anyone does. Triwheel 1: (inner chart) Radix, NATO, April 4, 1949, 12:00 p.m., ST, Brussels, Belgium; (middle wheel) Progressed, NATO, July 8, 2016, 12:00 a.m. GMT, Brussels, Belgium; (outer wheel) Radix, NATO Summit 2016, July 8, 2016, 9:00 a.m. DST, Warsaw, Poland. Interchart T-square: NATO Sun-Venus-Mars (Aries) oppose NATO Neptune (Libra) and square Summit Sun-Mercury (Cancer). An air of crisis-driven purpose is likely to pervade the Summit and challenge the organization. The members may be individually challenged to live out the ideals (Neptune) of the organization by committing soldiers (Venus-Mars) to strategic initiatives. Interchart T-square: Summit Node (Virgo) opposes Summit Neptune (Pisces); all this squares Summit Saturn (Rx, Sagittarius); Summit Saturn (Sagittarius) conjoins Progressed Chiron/Moon (Sagittarius). This aspect suggests it’s time for NATO to live up to its lofty ideals, adjusting those ideals to be more pragmatic and hands-on (Virgo). Summit Neptune also widely opposes Summit Jupiter, which conjoins this Node, so expansive NATO military interventions (Virgo) may be in the works. Jupiter also widely opposes Chiron (Pisces) in this chart--something I've come to associate with the terrorist threat. There’s more to this, however: Jupiter and Neptune form part of the following interchart grand-square, as well. Interchart Grand-square: Summit Jupiter (Virgo) opposes Summit Neptune (Pisces); this axis squares Progressed Sun-NATO Moon (Gemini) opposed to Progressed Moon (Sagittarius). This does suggest a crisis point in NATO’s ability to serve its purpose (Progressed Sun) and the people it’s committed to (Moon-Progressed Moon). Jupiter-Neptune could well represent the enormous flood of migrants coming into Europe and this could end up taxing NATO’s capabilities indirectly, through heightened tensions across the continent. All this highlights the importance of strategic rigor (Saturn in Sagittarius forms a wide t-square to Summit Jupiter and its opposition to Summit Neptune in Pisces). Plans will probably need to remain fluid under these mutable conditions. Summit Jupiter (Virgo) trines Summit Pluto (Capricorn); Summit Pluto squares NATO Sun-Venus-Mars (Aries) and inconjoins Progressed Sun (Gemini). 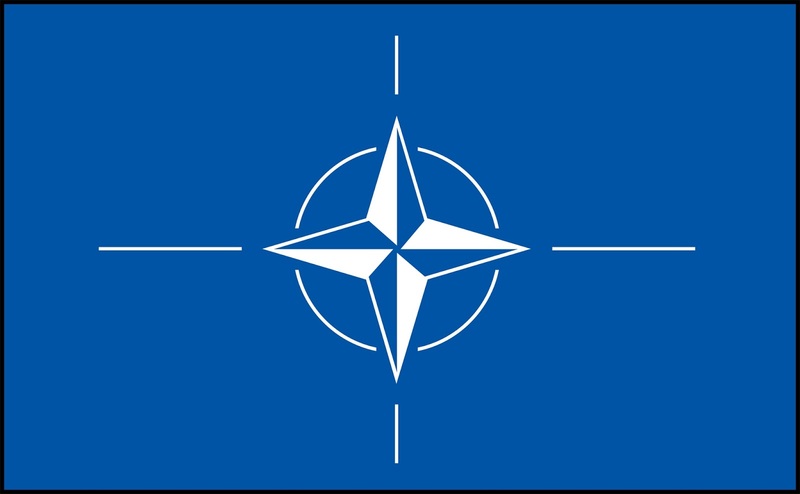 Wars seem to happen when there is an expansive political/finance support system available (trine to Pluto in Capricorn), so this is another indication that war could be on the horizon; whether NATO can respond to such a challenge will depend upon how cohesively it can act. The square from Pluto to its Aries stellium suggests destructive internal divisions. The likelihood of armed conflict is reinforced here with Jupiter in Virgo (a growing military). Summit Pluto is also at the Mars/Neptune (midpoint), which can be a precarious point denoting dissolution and/or destruction. Does this pertain to NATO itself dissolving or losing power, or to the possibility that the Summit runs aground on disagreements? 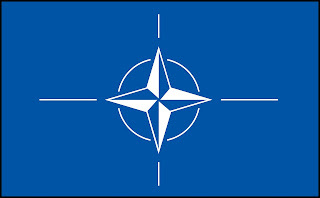 Summit Pluto’s inconjunct to NATO’s progressed Sun does suggest frustrating disagreements; all things considered, these configurations feel like a critical threshold for NATO. Interchart T-square: Summit Venus (Cancer) opposes NATO Jupiter (Capricorn); all this squares Summit Uranus-Eris-Progressed Node (Aries); Summit Venus trines Summit Mars (Scorpio). NATO’s powerful radix Jupiter appears vulnerable here to a shocking, disruptive event (Uranus-Eris) that strongly impacts the organization’s direction (Node). A desire for peace and security, including financial security (Cancer Venus) could demand a powerful, large-scale (Jupiter) response that the present organization will be over-stretched to provide. 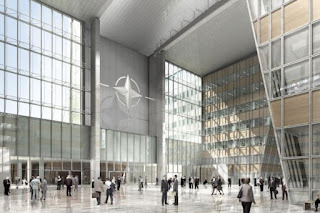 So, there may be some who feel that NATO isn’t playing a useful role in today’s world, in which diplomacy and cooperation seem like lost arts, but is the alternative palatable? Is it time to drop our alliances and adopt a “survival of the fittest” perspective regarding our former defense partners? Should big powers like Russia (or China, or the U.S., for that matter) be free to gobble up their lesser neighbors with impunity? Is it every nation for itself, come what may? We may think we don’t need any allies (an astrologically absurd thought), but what happens when we do?